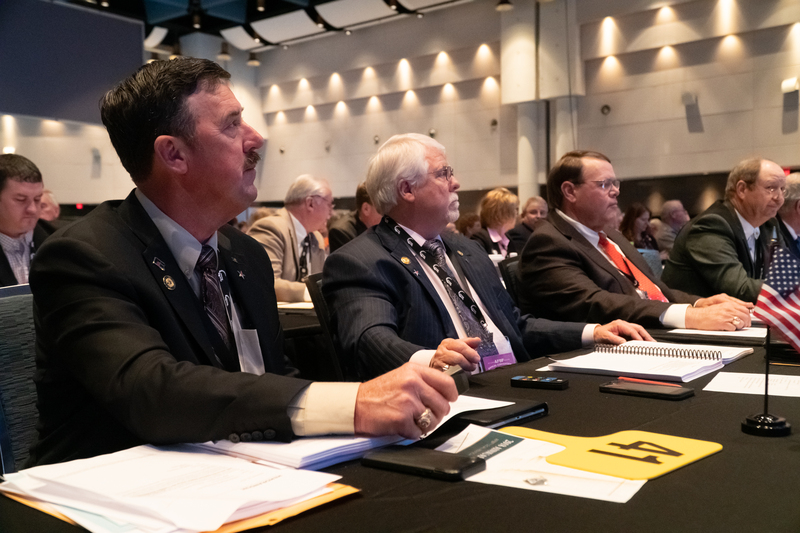 (NEW ORLEANS, Louisiana)—Food labeling, trade and rural broadband access were among the resolutions discussed and approved by farmers and ranchers from across the nation during the American Farm Bureau Federation’s 100th Annual Convention & IDEAg Trade Show in New Orleans, Louisiana. TFB delegates helped chart the course for the national organization through the policy session. Language submitted by Texas farmers helped craft a national policy position that defines clear labeling boundaries as imitation meat products become more widely available. Agriculture also needs strong markets and fair trade deals when selling products to foreign buyers. Delegates addressed that need and voted to favor negotiations to resolve trade disputes, rather than the use of tariffs or withdrawal from agreements. They also voted to support the United States’ entry into the Comprehensive and Progressive Agreement for Trans-Pacific Partnership. Boening also noted the United States-Mexico-Canada Agreement (USMCA) is essential for Texas and American agriculture. Delegates also supported improved broadband coverage maps through better data and third-party provider verification. AFBF will work with the Federal Communications Commission to address map inaccuracies. In addition, delegates urged the administration and Congress to work together to end the government shutdown. “We, as delegates representing the voice of agriculture, encourage all parties to come together and work together to end this government shutdown, as soon as possible,” Boening said. Because of the shutdown, farmers and ranchers do not have access to aid and support from government agencies, particularly the Farm Service Agency. Farmers also do not have data from the U.S. Department of Agriculture (USDA) that is critical for Texas farmers make planting decisions and especially as South Texas farmers will begin planting next month. “It affects local USDA offices, and farmers who need to sign up for new programs or secure loans,” Boening said. The impasse has also delayed implementation of important provisions of the 2018 Farm Bill. In other business, Boening, who farms and ranches in South Texas, was re-elected to his third term on the AFBF board of directors. He also serves as the chairman of AFBF’s Trade Advisory Committee. Texas farmers and ranchers helped establish national policy at the American Farm Bureau Federation annual meeting in New Orleans.